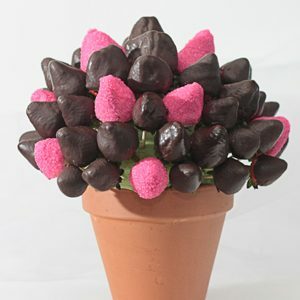 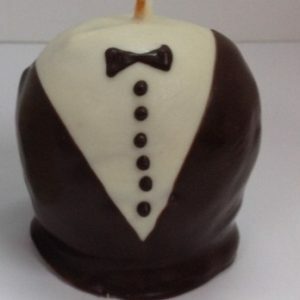 Berrylicious Formal Apples make ideal favors for your guests at weddings, rehearsal dinners or formal occasions of any kind. 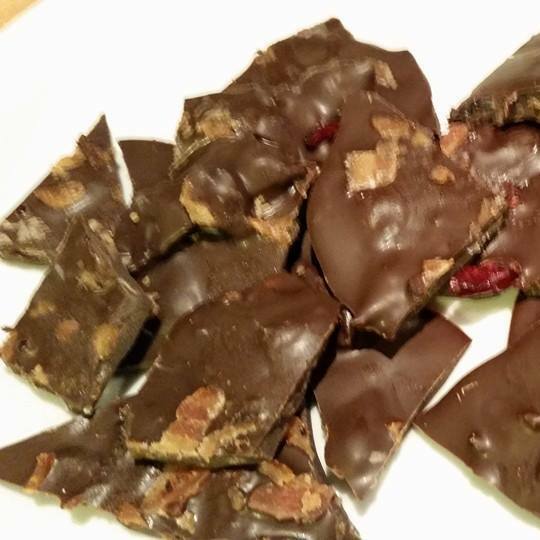 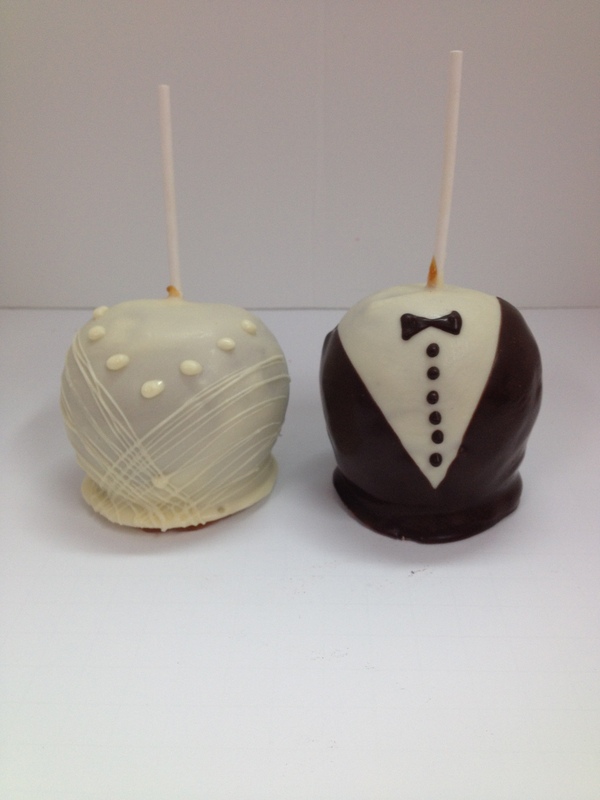 We take a Granny Smith apple and coat it in our own delicious caramel. 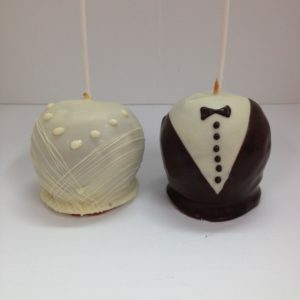 The Bride Apple is then dipped in white chocolate and more white chocolate piped on to create a gown effect. 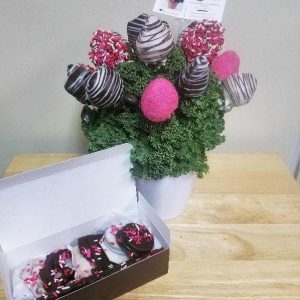 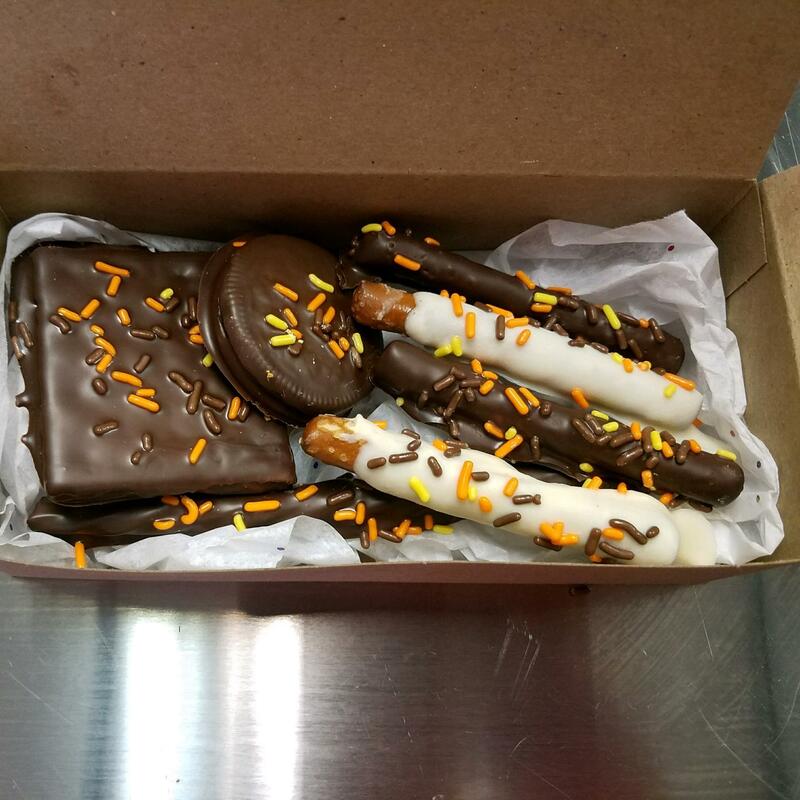 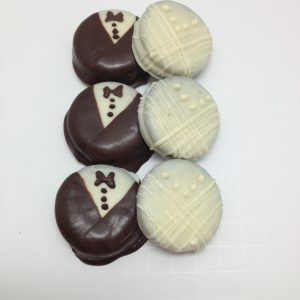 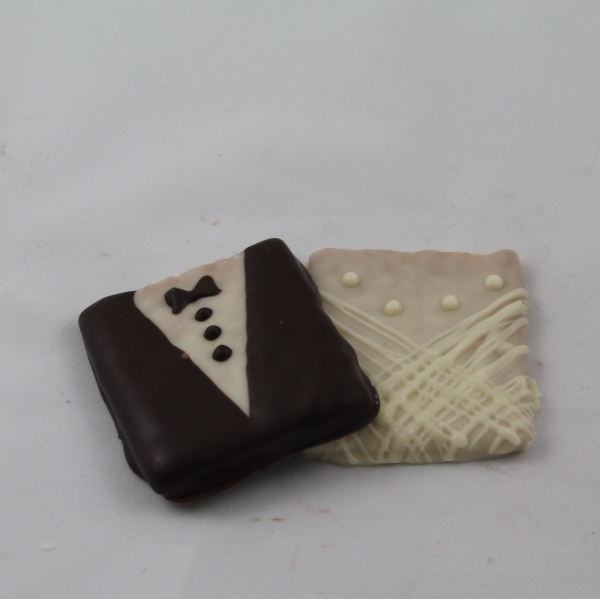 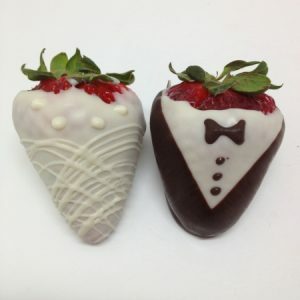 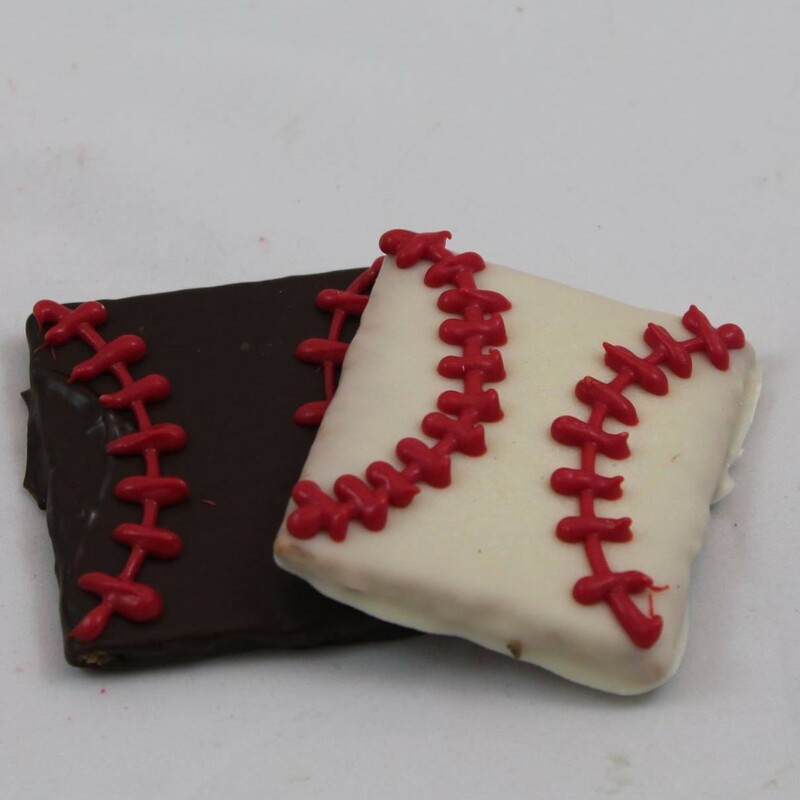 The Tuxedo Apple is dipped in white and dark chocolate with dark chocolate bow tie and buttons piped on. 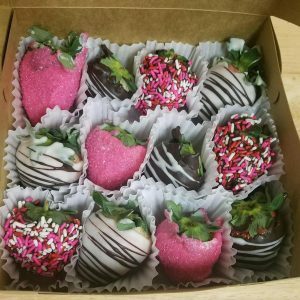 Net weight of each apple is approximately 6 ounces.